After a few weeks of hiatus, Fluffy Mama of the Week is back. This week it is Rachel from GreenBabiesBlog.org. Here is a little about her and her fluffy story. If you want to be a fluffy mama, email me at dirtydiaperlaundry at gmail dot com. My name is Rachel, I’m a new mom of an almost 10 month old boy. I have been cloth diapering him since the first diaper was put on his tiny bottom! 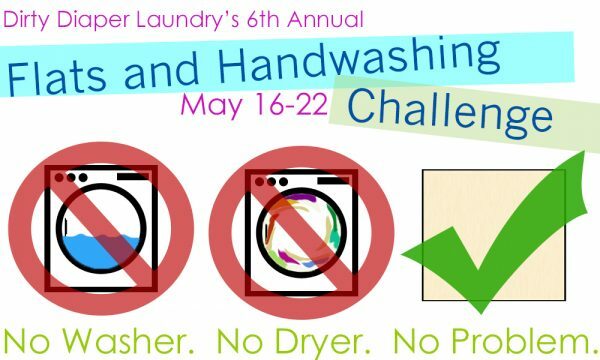 I, like many I know in the cloth diapering world, have become a cloth diapering addict! I am also very concious of the environment and my baby’s health. I since started a blog all about my journey to find greener ways to raise my baby! I have a true passion for what I do, including cloth diapering, sewing, blogging, staying up-to-date on natural childbirth news, and being “green!” The blog I write pretty well documents it all, www.greenbabiesblog.org. 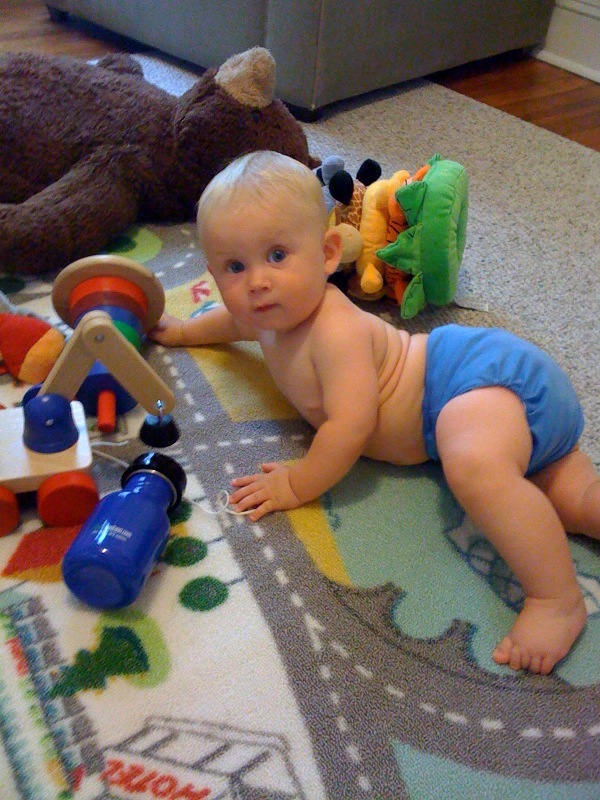 How long have you been cloth diapering? Almost 10 months! Although, I began my journey to find the perfect cloth diapers even before I was pregnant! What made you decide to start? I remember my cousin coming to visit with his family from Portland, OR and I saw his son had a g-diaper on. I was very curious about the diaper he was wearing, so I began to research the g-diaper. While this was long before I had a child of my own, I knew that their had to be some great new inventions since the days of pre-folds, rubber pants and pins. What I found was not nearly as extensive as what is on the market today, but it was certainly a start! I knew that I would be able to find something by the time I had a child of my own! What was your first purchase and why? My first purchase was 6 Bum Genuis one-size, pocket diapers from target. I bought these because I could use gift cards that I recieved as a baby shower gift and didn’t have to spend my own money. I had also read great things about the Bum Genius diapers! I think it is important to say, however, that my next purchase was 12 Blueberry x-small diapers that I found used on craigslist. I bought these because the small setting on the Bum Genius looked pretty big and I had a feeling I’d have a tiny baby. When my baby was born he was 6 lbs-12 oz. and those tiny Blueberry diapers were a perfect fit (but he out grew them in 5 weeks)!! How much do you think you have spent on your diapers total? I’ve spent about $500, not including materials I have bought to make some of my own diapers and wool covers! Have your family/ friends been supportive? Yes, thank goodness! My step-mother and mother-in-law watch my son when I am at work and they have no problem with the diapers! Some of my friends think I am crazy, but each time we start talking aout it I break some out of my diaper bag and pass them around and everyone is amazed at how different they are from what they imagined. What has been the most rewarding aspect of cding? Knowing that I don’t have to ever go to the store to buy new diapers, passing on my cloth diaper knowledge to others, reducing the amount of waste on our planet, making a difference! What is your favorite diaper to use? This is a hard one, I love all diapers for different reasons, but I guess if I’d have to choose, I’d say my one-size, all-in-one, organic Bum Genius diapers because there is no hastle in stuffing them! I have recently discovered wool covers however and I am working on making some fitteds for my baby to wear and I think tose could become my new favorites! What has been the biggest challenge to your success at cding? My biggest challenge was trying to figure out what to do with the poopy diapers once my son started solid foods! I was using the flushable liners, until recently when we has a disaster of clogged pipes! We snaked our pipes out and my husband pulled out a bunch of the liners that were clogging our drain! I quickly went out and bought parts to make a diaper sprayer, problem solved!!! 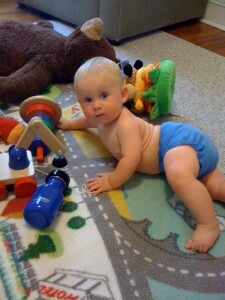 Here’s my blog about my adventures, http://www.greenbabiesblog.org/diapering/diy-diaper-sprayer/. Anything else? I am on the path to becoming a Real Diaper Circle Leader for Baltimore, Maryland. 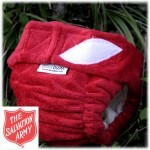 I welcome any suggestions to spreading the word about cloth diapers to the local scene. Please feel free to e-mail me, greenmama@greenbabiesblog.org. Sponsor Love- Without them there would be no DDL!